Hello, my name is Jason Evege, the founder of Linoto. We launched the site in 2007 when I was unable to find affordable real linen sheets. The first sets were gifts. 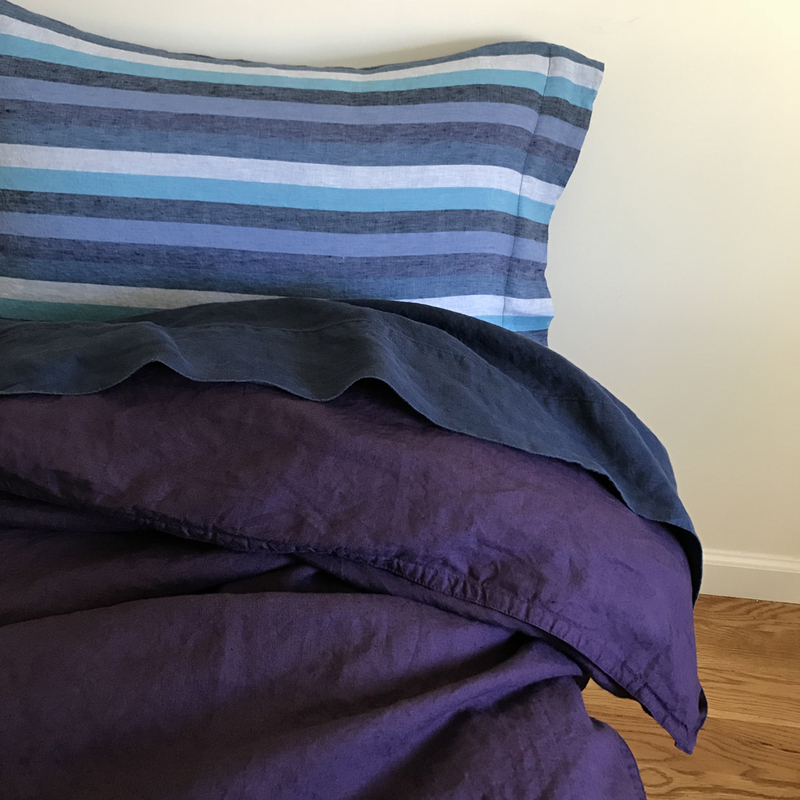 I had no intention of selling linen sheets, just a passion for creating and sharing beautiful, high quality textiles and the dream of working with my hands to create something that feels truly special rather than simply working at a computer. I run the workshop and spend most days cutting, pressing, and answering the telephones and emails. Linoto makes amazing, real linen sheets that help you sleep better, linen napkins and tablecloths that enhance your dining and entertaining events, linen curtains that beautify your home, and linen towels that rejuvenate and refresh your bath and shower experience. Most importantly, we make beautiful, soft, artisanal quality products that feel special to us and to the people who enjoy them. What sets Linoto apart is our bold color offerings, exceptional workmanship, the quality of our fabric, excellent customer service, and the fact that all of our products are proudly made at our workshop in Westchester County in New York. Linoto linen is sturdy and softens beautifully for a look that is relaxed yet luxurious. We are passionate and invested in everything we make. Every item is marked on the cloth with chalk, cut with tailor shears, expertly measured, expertly sewn to the same standards as a designer dress, then washed with natural laundry soap and shipped in plastic free recycled packaging. Linoto offers free shipping on all orders over $100 within the continental United States and offers reasonable rates on shipping worldwide. Feel free to call with questions or to request a free swatch. We are always happy to talk and make new friends.